My Brazilian colleagues…have been able to identify your “beautiful photos” as representing Enchenopa gracilis, a species that has been illustrated only once (in 1904), and certainly not by a photograph! Another individual, this one with no trace of green colorationi and less distinctly marked wings. The illustration referenced by Andy comes from Kellogg (1905—p. 169, fig. 239), and as he notes at BugGuide the problem with old illustrations is that many of them are either inaccurate or use obsolete names. Enchenopa gracilis does not occur in North America, thus the drawing in Kellogg (1905) probably does not actually represent this species. Nevertheless, a recent dissertation on the insect fauna associated with pigeon pea in Brazil (Azevedo 2006) shows several photographs of adults that agree nicely with these photos. Enchenopa gracilis actually seems to be a bit of a pest on that crop, and it has also been reported in association with a variety of other plants across several different families (Lopes 1995, Alves de Albuquerque et al. 2002). Interestingly, I could not find any species of the family Malvaceae recorded as a host for E. gracilis. 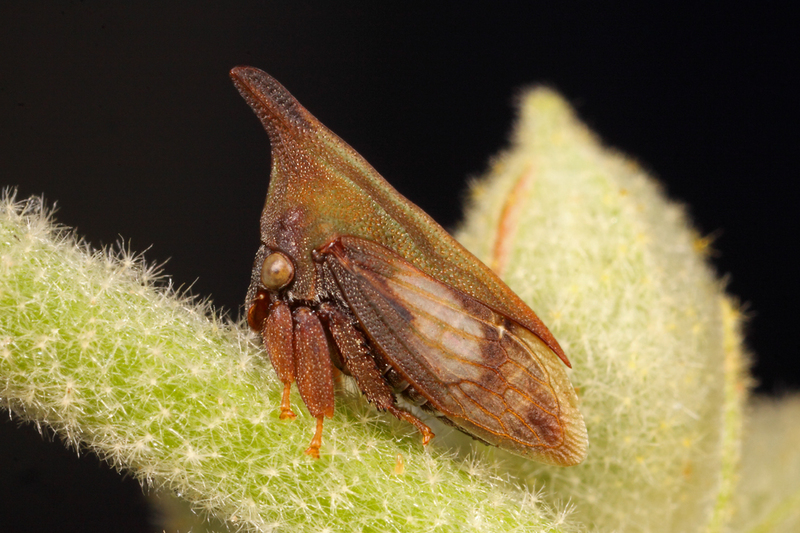 This entry was posted in Hemiptera, Membracidae and tagged Argentina, bugs, entomology, insects, nature, science, treehoppers. Bookmark the permalink. I love treehoppers. And I think often the best photos are the ones that present themselves at unusual times like you describe. Cool! Another great find! Membracids are fascinating little creatures! 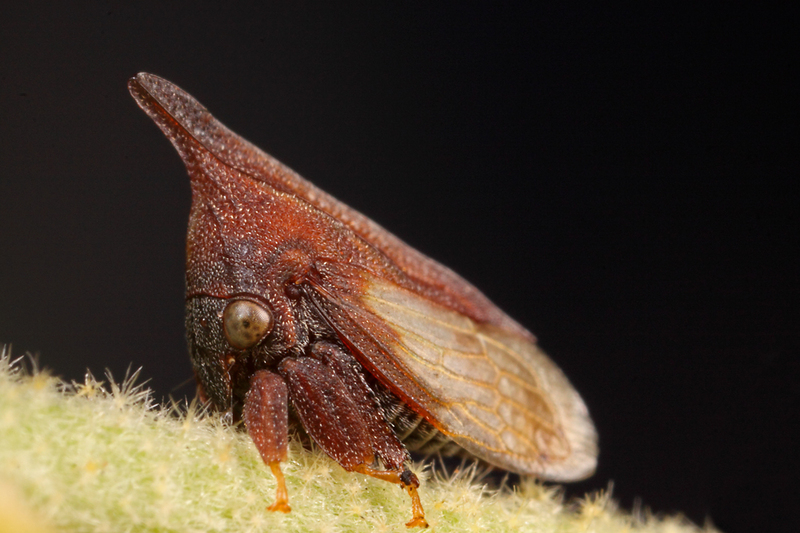 That’s one cool looking treehopper!